The Redwood S10 ukulele is a delightful instrument that combines articulate tonality with a bright timbre, in an easy to play and highly compact design. The body is crafted from laminated linden - basswood -, a tonewood that produces a rich midrange character. As the body is laminated, you are offered further reassurance in the ukulele's ability to remain resilient when handling changes in humidity and temperature - making the S10 a fantastic instrument for those who're travelling. Fitted to the body is a sturdy neck that is married to a sumptuous fingerboard. There are 12 perfectly proportioned frets that provide a wonderful playing surface to navigate your fingers along. Maple has been used to craft the bridge, providing a responsive yet seamless connection between the strings and body. The nut supports the strings at the head to improve sustain and intonation, whilst the tuners uphold tuning integrity with absolute precision. The S10 has been completed in a striking red finish, giving this particular model an eye-catching visual character. Posted on 26/01/2014 by Kratz This is a very good product, it's nice and cheap, but these strings... I would invest in better strings. Posted on 08/06/2013 by GAZ Got one of these in January and I can't put it down. It really is fun and cheap. 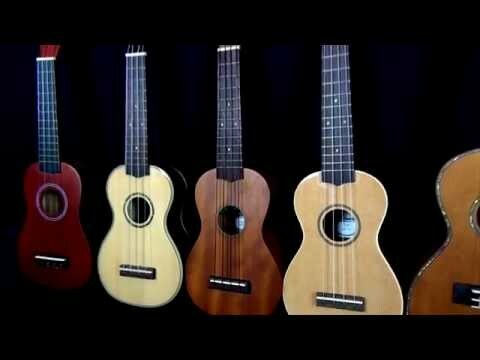 So if you're not sure about learning the ukulele, and don't want to break the bank give it a go. There are loads of instructional videos on YouTube too! Posted on 10/04/2013 by Jos I ordered this yesterday, and it just came! Obviously it needed tuning, but this was easy and to be expected. It is a good beginner's ukulele, the strings are fine; I was going to buy better ones, but there's no need to for now. I have been online looking at chords, they're very easy to pick up. I would definitely recommend this, it's great value and the service is brilliant. Posted on 30/01/2013 by Gaz Bought this product on Monday, in Stockport. Excellent service and a great instrument. I'm having lots of fun playing this cheap and cheerful Ukulele... Cheers!